From infant to toddler there are crucial stages of growth and development where the environment influences the development a lot. Based on John Locke’s theory, “at birth the (human) mind is a “blank slate” without rules for processing data, and that data is added and rules for processing are formed solely by one’s sensory experiences”. A child’s knowledge is, therefore, acquired through experience or perception. The people closest and most often with the children are the primary teachers but, of course, formal education is necessary especially to help with the cognitive and loco-motor development of a child. You have to look and choose an appropriate environment; a safe, responsive, and nurturing environment for your child since this will serve as their second home. 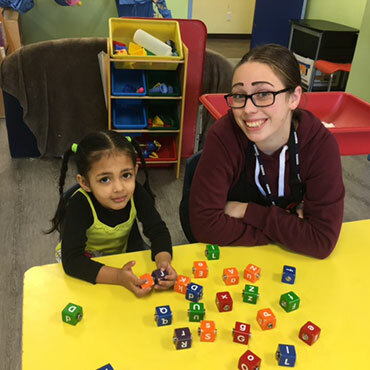 Through this environment, your child will feel comfortable to interact with others and explore new things, will increase their self-esteem and self confidence, and will motivate to do or make things that they are interested in. Prog ress in growth and development of a child depends on their environment. So positive and stimulating surroundings are a must.